A few months ago we talked about the Toshiba Chromebook 2, and we stressed that were only available for models with screen resolution 1366 x 768 despite the existence of a model with 1080p display. Now this manufacturer has decided to make a noticeable improvement in their devices and gives them more power. 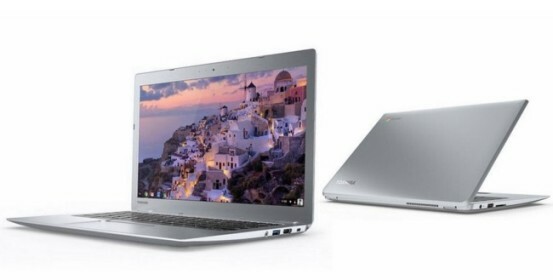 Renewed Toshiba Chromebook 2 come with Intel Core i3 fifth generation that is, Haswell, none of the newly presented Skylake – addition to a maximum of 4 GB memory. As in the previous case are these IPS 13.3-inch screen, this time flanked by speakers are manufactured by the company Skullcandy, dual microphones and a 720p webcam. On its side we find a USB 3.0 port, another USB 2.0, a full-size HDMI output, SD card reader and a slot for security locks. In this offer there is another novelty more than it can be striking for many users: the presence of a backlit keyboard that will surely be good to users that leverage these computers at night. The head of marketing for Toshiba Philip Osako said that these laptops are used increasingly for more demanding tasks and “need to be equipped for these high demands of process and built with hardware features that optimize the use of Chrome OS”. Now it remains to be seen whether this renewal, which will reach US in October, it also extends to other countries.